The introduction of new 8-pin Lightning connector, which supersedes the older 30-pin connector not only means that your brand new iPhone can be more sleek, but also makes a number of iPhone accessories incompatible with the new iPhone let you’re ready to use a 30-pin adapter every time to connect your iPhone 5 to accessories. Popular dock makers though have taken note of this need and we have seen a number of docks lately that have been rebooted to the new Lightning dock. Below we list our five favorite docks for your iPhone 5. This external speaker dock mounts a Lightning connector in front to keep your iPhone 5 on center stage. 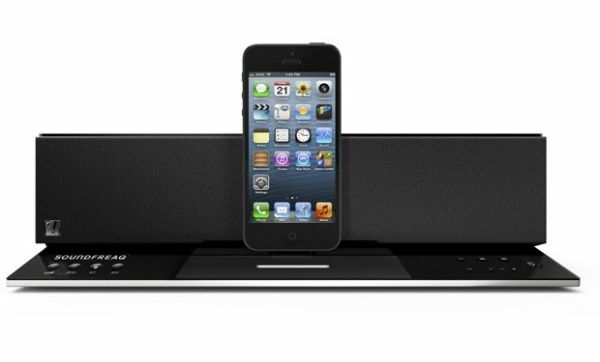 The dock ensures that your device keeps charging while you’re listening to your favorite music. 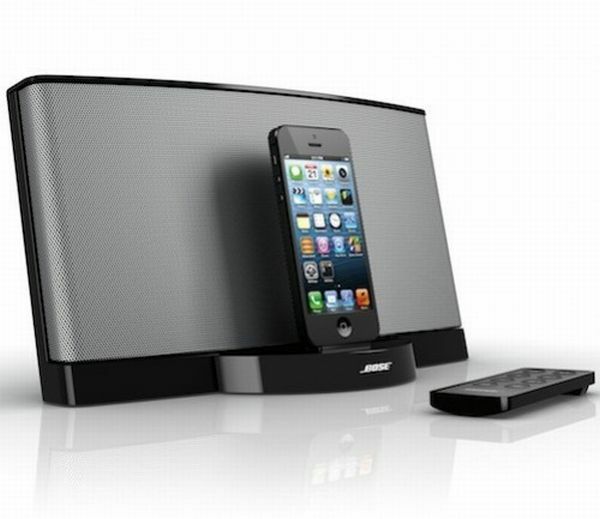 You don’t need ant setup or syncing to play the music and the core the dock boasts of the same core competence of all Bose audio systems i.e. phenomenal audio quality. This easy to use unit, which comes with a remote control, will cost you around $224.95. In case you were wondering what LT stands for we would give you a clue. JBL OnBeat Venue supports the lightning connector and LT stands for Lightning itself. One of the early docks that supported 8-pin Lightning connector, OnBeat Venue is a power horse when it comes to playing music loud. The device offers 30 watts of amplification thanks to two low-frequency and two high-frequency transducers. The dock comes with an app named, MusicFlow that helps you create and play your favorite playlists. The dock costs around £200. 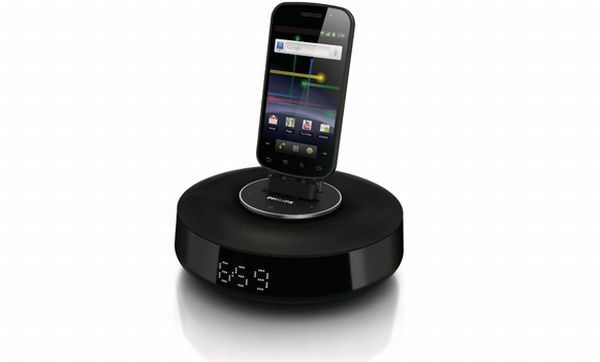 Phillips bedroom speaker dock glitters with a soft glow at night and also works as an alarm clock. The dock automatically syncs its time with your iPhone and boards a USB port to charge an additional device. The Neodymium speakers can play music at 6W and offers rich omni-directional sound that fills your room. It comes with a DockStudio app with which you can listen to your favorite radio shows and you can also share the music you like on Facebook or Twitter. This elegantly designed dock comes at a price of $89.99. iLuv’s first Lightning connector audio dock offers high fidelity speakers and a passive radiator that offer you a powerful and rich sound experience. Besides Lightning connector it also offers a 3.5mm auxiliary input to connect other devices. The dock boards touch sensitive controls at the top while the iPhone is rested in front. iLuv’s maiden Lightning dock comes at a price of $149.99. 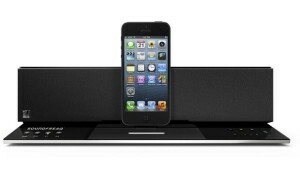 Sound Step Lightning is Soundfreaq’s first Lightning supporting dock, a company mostly known for its wireless speakers. It not only allows you to dock and charge your iPhone 5 but also offers high quality sound with its 2.1 speaker configuration, a dedicated sub-woofer and its proprietary UQ3 spatial sound enhancement. The device is priced at $149.99.